WELCOME TO HEALTH SERVICE CENTRE!! Health Service Centre is committed to customer service and in the products we sell. Our mission at Health Service Centre is to provide only the best and highest quality health and wellness products to our customers. With over 50 years of business we take pride in our commitment to our customers. We are committed to provide you with 100% satisfaction in your experience with us, our dedication to our customers is what keeps us #1. I am Henry Buss the founder and owner of Health Service Centre since 1960. 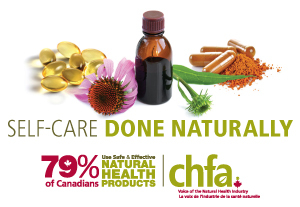 My children take care of managing our 5 Health food stores in Toronto where you will find a full assortment of many brands of vitamins, supplements, herbs, herbal products, natural foods, cosmetics, sports and body building products etc… We have what you need to get your life back to optimal health. We also have an online store at juicers4life.com which is designed to provide you with a friendly, safe and secure environment to purchase juicers and appliances. You can browse our catalog and shop with confidence and ease. The best location to see all the juicers and appliances is at 971 Bloor Street West. Rodney Buss is waiting for you, he is very knowledgeable about all juicers and will be happy to assist you with any of your questions. Please visit the Store Locator for maps and store hours.